The peaceful gravesite of a rugged wild west gunman echoes the touching story of his last days. Unlike many of his contemporaries the famous lawman, gambler, and all-around Western icon Wyatt Earp is not buried in a rustic plot in the desert, but is instead interred in a peaceful Jewish cemetery along with his wife. The final resting place of the Emperor of the United States and Protector of Mexico. This odd little museum holds exhibits on everything from blacksmith equipment to hair jewelry. Despite his enduring legend, during all his years of law enforcement and gunfights Wyatt Earp was never so much as grazed by a single bullet. In fact Earp spent his final years working mining claims in the Mojave Desert in order to finance a comfortable life for he and his wife in Los Angeles. 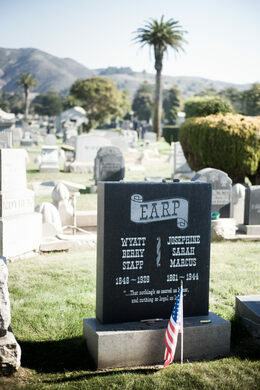 With his more violent years behind him, Earp died peacefully at the age of 81 with his wife Josie Marcus at his side. Josie was so grief stricken that it is said she could not even attend the funeral. After a teary Los Angeles funeral service with such associates as W.J. Hunsacker, Earp’s attorney from the Tombstone days, and early Hollywood western stars Tom Mix and William S. Hart as pallbearers, Earp was cremated. 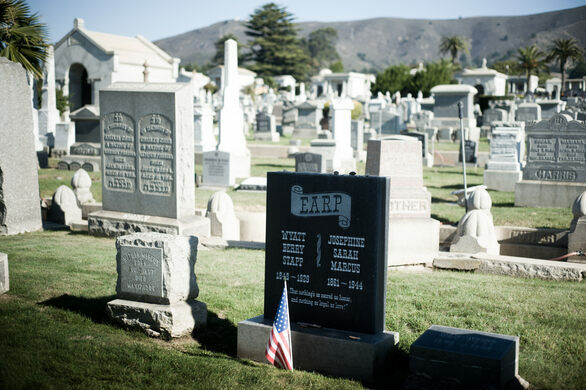 Since he had agreed to be buried in Josie’s family plot despite not being Jewish himself, Earp’s ashes were taken to Colma, California and interred in the Jewish section of the Hills of Eternity Cemetery. When his wife Josie finally passed, she too was cremated and buried in the plot, assuring that the husband she so adored would never be alone again. 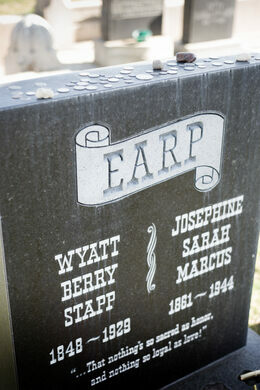 A surprisingly touching end for such a complicated and rugged figure as Wyatt Earp. A vast city of the dead, where the deceased outnumber the living by more than a million. Amazing meticulous gardens of personal wood carvings, Hydrangea, Canna, and many other flowers. The remote resting place of a notorious Wild West outlaw whose death is shrouded in mystery. 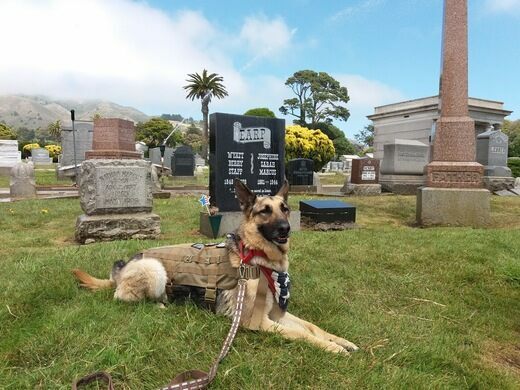 This graveyard is the eternal home of many brave pioneers who settled the Great Northwest. This graveyard is the eternal home of the residents of a vanished California town.